An online music store called Sound Waves is on our list today. They have recently launched a new payment gateway, which means that you can buy tracks using Bitcoins. Sound Waves website has a great selection of different music. It is easy to browse by genres, such as Hip Hop, Chill Out, Trance, Techno/Minimal, D&B, Dub Step, Tech/Deep House, Electro and Progressive House. You can also look for music using the list of Artists. We also recommend you checking Last Releases page, as it often has something new for music lovers, and the Video feature, for you to watch some great videos on the platform. Paying for music on Sound Waves is simple as well. All you have to do is to click on the track you wan to buy, opt ‘soundwaves’ and then ‘purchase’ button. 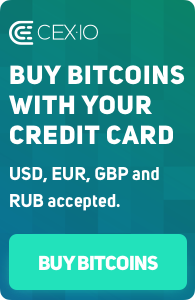 After you fill the basket with different tracks you can choose Bitcoin as a payment method. If you’re a musician then you are welcome to sell your music at Sound Waves. In order to do so you have to visit Information page and sign an agreement. You’ll be receiving sales information four times a year (in January, April, July and October). Pay attention that you will be able to withdraw cash only after earning minimum of 20 GBP. At last, if Sound Waves is your kind of music store, you’ll enjoy reading their news digest, which is a nice selection of articles and reviews on the music they sell. We wish you a very nice day, which you can make even better purchasing new music on Sound Waves 😉 And don’t forget to leave a comment below this post if you want us to tell the word about your Bitcoin-friendly service!